There is no hard fast rule with what you should drink with your chosen meal but quality will always play a part. Whether it’s a beer with a bbq on a sunny day, or a freshly squeezed orange juice with your Sunday brunch. I personally love wine and I think correct pairing between a dish and a bottle is very important as both the food and the wine will taste better. 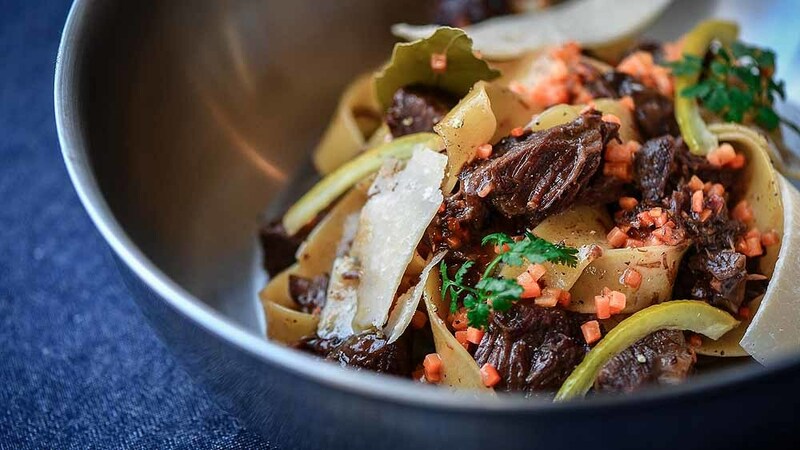 For example, one of Italba’s most popular dishes is beef cheeks with papardelle and I always recommend that the wine consumed with this is a full bodied red such as Valpolicella or Barolo. The incorrect pairing, on the other side has potential to ruin your dining experience, a strong full body wine with a delicate dish, or the other way around are the easiest of the examples, the correct matching is by far more interesting and satisfying. The choice of wine nowadays is incredible, but like in most cases is more about quantity than quality, and unfortunately out there is a lot of alcoholic beverages that should not even be labelled so - considering that automatically we pay around £2 in taxes on a bottle, it makes you think what is the real value of the wine you buy when you spend £5. Fortunately there are a lot of great wines out there produced in one of the world’s many wine regions. I’m grateful to independent wine retailers that choose to focus on quality thus giving us the chance to taste fantastic products that would not be possible if we had to rely on the major distribution network. If you want to enhance your private chef dining experience with Italba please don’t hesitate to ask about wine pairing with your meal. I’m fortunate to partner with some great local wine distributors; Hansens’ Kitchen in Comrie who have a great selection of high quality wine from all-over the world and Perthshire based La Silcilyan Wines specialising in boutique wines from the beautiful Island of Sicily. Please get in touch here if you would like any more information about wine pairing or would like to hire a private chef in Scotland for a unique dining experience.